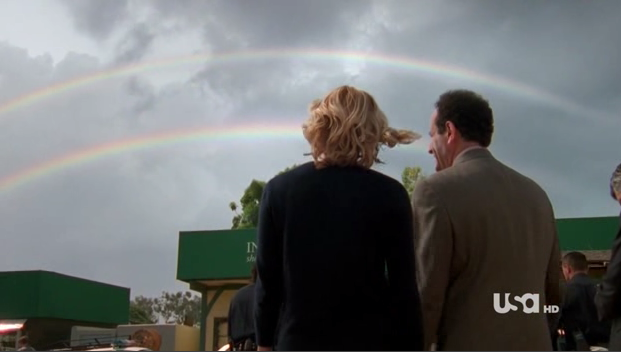 I was watching the TV show MONK this weekend, and the latest episode featured a double rainbow. 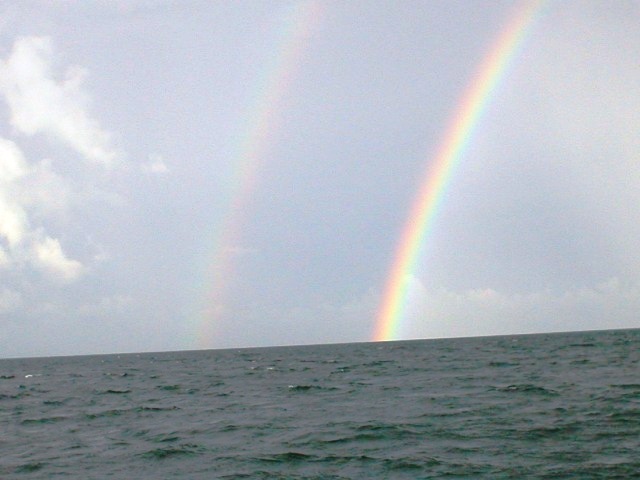 I got excited, because last year one of my calculus students did a mini-project on rainbows and I learned what caused double rainbows. One thing I learned while helping this student is that when you have a double rainbow, the colors of the “top” rainbow are reversed. When I noticed that the colors on this rainbow weren’t reversed, I was like… “hmmm… this is a crucial clue to the mystery.” Turns out, however, that it was just a rainbow badly superimposed by someone who doesn’t know about rainbows. If you care to learn about the mathematics behind rainbows, I suggest reading this very accessible paper. One thing I didn’t know about rainbows is that they are actually circular; from the ground, we are just privy to part of them. But from air, we could see the whole thing! oh my goodness, this is hilarious. thanks dan! HILARIOUS!